Event organizers are visible in each event, so event participants know who to contact in case of questions. Event organizers can change the event details and can add/remove other event organizers. 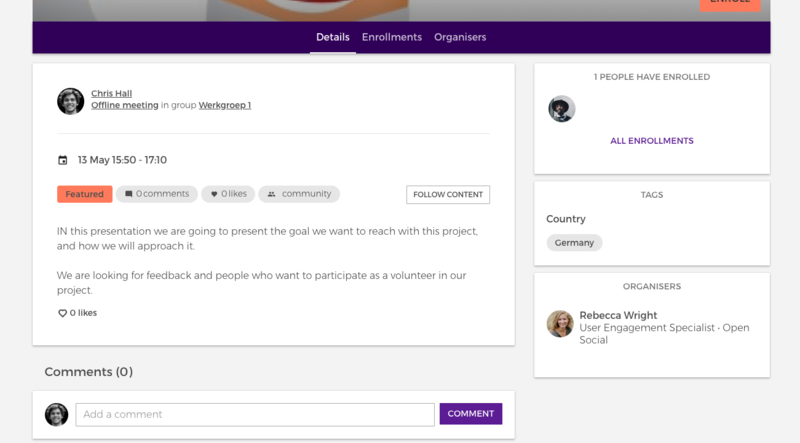 An organizer can be added via the edit event page. 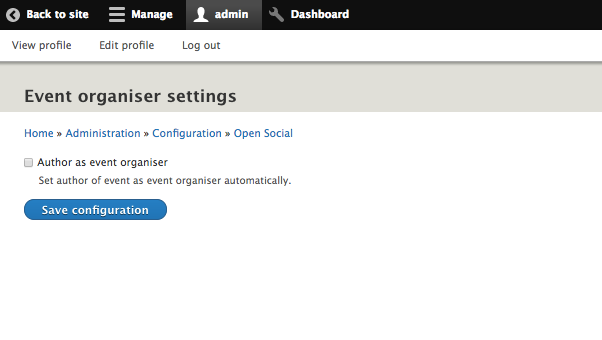 When a user creates an event, by default they will not be listed as an event organizer. The user should mark himself as the event manager if he is also organizing the event. This comes in handy for communities where the Site Manager or Content Manager creates the majority of the events, but are not actually organizing it. For communities where the events are actually created by the people who will also be organizing it as well, a setting is provided to make this possible.